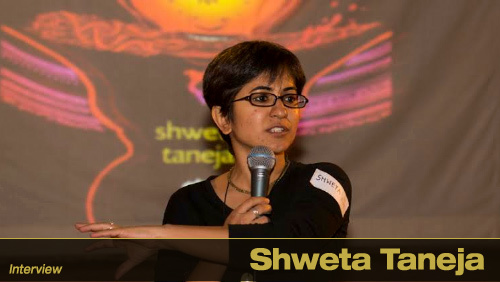 Shweta Taneja is a tantrist masquerading as an author, graphic novelist and journalist. She is known to hex people who annoy her, or order a hit on them through underworld hitmen. Just kidding. She’s just a very prolific writer, churning out books, blogs, graphic novels and articles at the speed of light. We suspect that she gets some supernatural help considering the speed and variety in her writing. We probed a little into Shweta Taneja’s life with our questions, and this is what we came out with. Q. If we ask you to give your own introduction in 200 words, what would you write? I’m a writer and love to write. Fiction for most parts, but also poems and blogs and articles and tweets and posts. Anything, really. The written word as it splashes onto the page through my keyboard or through my pen, makes the world around come alive. I’m delighted by the supernatural, the noir style, humour and paranormal. And I remain childlike in this delight. Professionally, I’ve written 7 novels, more than 200 articles and 250 blogs and continue to write everyday. 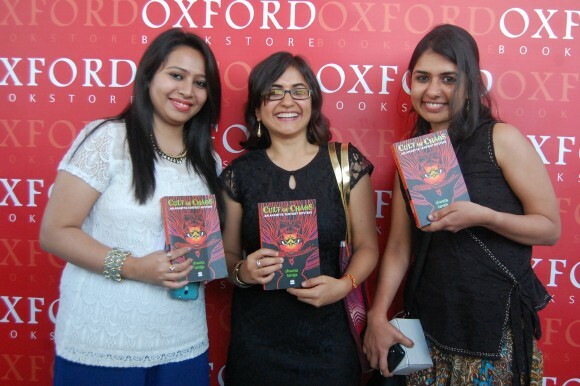 I’m a Charles Wallace India Fellow (Chichester University, UK, 2016) and was shortlisted for Best Writer Award in Comic-Con India for The Skull Rosary (HolyCow, 2013). My books include the bestselling series Anantya Tantrist mysteries (HarperCollins, 2014), Ghost Hunters of Kurseong (Hachette, 2013), and Krishna Defender of Dharma (Campfire, 2012). The latter is included in the CBSE Must-read list for schools and has been reprinted many times. When I’m not creating stories, I write articles and columns for Mint, Scroll.in, and Discover India. I am also a communication consultant and help out NGOs and startups with setting up their social media and communication plans. Q. Tell us about your early life. Which are the memories that stand out? Dark, stormy, monsoon laden nights were my favourite time. I used to sit with my younger cousins and tell them scary stories when electricity would go off in summer holidays. I still remember their feared expression while I write my current thrillers! Q. When did you start blogging? What prompted you to take up writing? I seriously started blogging at the same time as I plunged myself into creative writing which was in 2009. I’d been a journalist for almost a decade before I started blogging. Q. Tell us about your blogging journey. How challenging and fulfilling has it been? Have you been successful at expressing what you set out to? As I’d been a journalist and editor for many years before I started to write a blog, I had to unlearn rather than learn. With print medium, the feature or news piece you’re writing is supposed to be a report and not a personal expression. With blogs, it’s the personal expression that matters the most. I had to bring my opinions to the forefront and kill the editor in me to let the writer fly. At first my blogs were staid and boring as they were written like reports and statements. It took me time to build the emotion that I felt into the blog and write it casually, like you’d tell a story of an experience you’ve had. Q. Most children get their fix of reading from Harry Potter and other Western YA novels. What prompted you to write The Ghost Hunters Of Kurseong when the Indian literary market thrives on romance novels? Children love adventure in their stories as do I. As a writer, you don’t really have a choice. The kind of stories that leak into my brain are paranormal, supernatural, full of thrill, mystery, darkness and noir. Romance unfortunately, remains stoutly hidden behind really opaque walls in my mind. Q. How do you differentiate between blogs and books. What’s closer to your heart? I love any kind of writing – be it articles, where I am strict in not expressing any personal opinion; blogs where I let the person in me spout all kinds of things and tell readers what I truly think and finally fiction, where the characters speak and I’m just the medium who is writing their stories. All kinds of writings have their own personal pleasure and thrills. Q. Tell us about the birth of Anantya Tantrist? Did any of the characters have some roots in things you’ve seen around or did you just dive into the occult and come up with her? I wanted to write a detective story and was looking for an interesting detective character. Anantya’s name was with me from a former unfinished novel of revenge and fantasy. I knew she was angry with the way the world works because of which she came across as aggressive. I also knew she had her hands in supernatural in some way. Then the two came together one day in an office’s white board, and just like that, I knew that she’s a tantrik who is also a detective. After I had this, the world flowed in and it all came together beautifully. Q. What are the interesting responses that you’ve gotten for Anantya Tantrist? I’ve had people come to me to ask if she and her world actually exist, which, if you consider that the book’s a work of fiction, is a perfect compliment. I’ve also had readers come back to me and say they love Anantya’s spirit and aggression and find that she’s a feminist in many ways. I’ve had readers laugh out aloud at her antics. And some who’ve loved the colourful world that we see through her eyes. Q. If you had the powers of Anantya, what would you use them for? I would imagine for good, but then maybe I would use them for a laugh or a prank. I do have a little evil in me. Q. Tell us about your graphic novels. How did the idea for them come about? I’ve always been inspired by art and mythology and wanted to write a graphic novel in collaboration with other artists. I was lucky that I got a chance to write mythologies in graphic medium and experiment with the storytelling in various ways. Krishna Defender of Dharma which has seen multiple editions and is a bestseller in India and abroad, is a retelling of Krishna’s whole life with endearing art by Rajesh N. The Skull Rosary, which received two nominations in the Comic Con Awards (Best Writer, Best Cover) is a fascinating experiment in black and white and noir where I’ve collaborated with five different artists for five different dark stories from the life of Shiva. I’m so happy I got a chance to work on both of these works. Q. What do you think of the trend of authors delving into Indian mythology for inspiration and reinterpreting Indian epics? It’s necessary to interpret and retell myths and epics for our modern world, to look at different aspects of myths, different voices from mythology. It’s not something new. Every Time someone retells a story from our rich mythology, he or she is interpreting it in their own way and telling it in their own style. That’s the delight of these shared stories. I’m glad this trend is here and readers are open to different interpretations and buying them. Till there are readers who want to read these interpretations, authors are going to write them, publishers are going to publish them. When the readership declines, who knows what’s next? Q. How has your writing process evolved over the years? It’s definitely become more efficient though each novel comes with its own challenges. Over the years of writing novels, I’ve developed my own style of creating a plot. I start by writing scenes on chits of papers. Then I reshuffle these scenes and develop a linear plot. Post this, I divide the plot into chapters and write one chapter a week and finish the first draft. After that comes the cumbersome editing process which takes me a few weeks or even a month or two sometimes. Once I edit it four or five times, I show it to a primary group of readers I trust. Then it’s back to the editing table with their feedback. After this, I send the book to my agent and publishers. This is what I currently follow, however as I mentioned, each novel comes with its own needs so I don’t know what will be next for me. Q. In between writing books, articles and creating graphic novels, how do you get time to blog, especially for the ‘Life’s loose pages’ section? Thanks for going through the blog and asking me such a specific question. Life’s Loose Pages are more like spurts of expression that I write every few weeks when I come across something that needs to be shared, that I’d like my friends to know. I blog about everyday concerns, social campaigns, ideas and even my experiences under Life’s Loose Pages. The blogs come my way as I’m writing my books and suddenly want to express something else. Time is a constraint however. If I keep the blog on a backburner for too long, it will get scraped before it’s written. I usually just write bits of blogs and ideas and keep them on draft stage. Then I take a day out to write all these drafts together, finished them as blogs and schedule them on my website. Most of the times, I schedule about 10-15 blogs together. Q. Have you ever faced writer’s block? What is your solution for it? I would say it’s not a block, but a little gap. There are days when my creativity is flowing and I’m able to write 2000 words in a day. There are days when I struggle to write 20 words and they’re so horrible, that they need to be deleted. The latter are the bad days which end up with a headache and depression. But I know the bad days are necessary for you have to keep on chiseling the mountain to suddenly see the shape of the sculpture you’re making. A few of bad days lead to that one good one where the writing flies up in the cloud! Q. You speak up a lot about social issues. Which are the issues that are close to you? What is your personal endeavour to tackle/ create awareness about such issues? I’m personally bent towards education and equality for people, be it gender, caste or social equality. I’m also quite keen on cultural projects as well as on online privacy and how the government treats its citizens. The first thing I do is talk about the issue that’s concerning me online. Since writing is my talent, I use it to spread the word. I also tell friends and colleagues who might be interested in it and sometimes get involved in a deeper way by volunteering my time or skills. Q. Which are the awards and accolades that you cherish the most? What does such recognition mean to you? More than awards and accolades, I cherish reader feedback. I love it when readers write to me and tell me they’ve enjoyed a story. Formal recognition like an award is just a medium for other readers to discover your work. It’s nice, it feels good, but the reader herself is my award! However, I was quite surprised at getting the Charles Wallace Fellowship by the British Council this year (I’m currently in England writing this). Usually the Fellowship goes to literary novels and projects. I write popular fiction and to get that fellowship for a science fiction project was quite surprising. In a good way, may I add! Q. 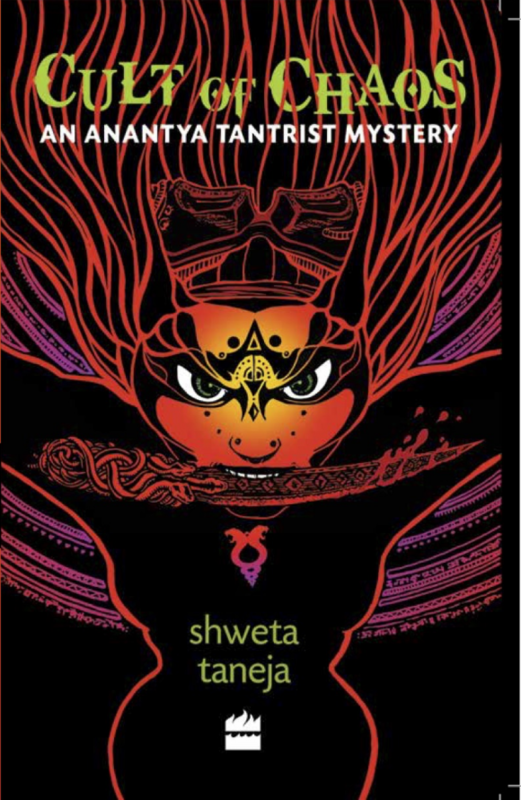 Tell us about the Shweta that very few people know about. Which are the aspects that are hidden from the world? I’ve not hidden any opinions, though I’m a bit picky about posting things about my personal life. You’ll rarely see me posting photographs of my family members or talking about my personal relationships. I respect privacy and am picky that way. Q. Which of your characters do you identify with the most? Anantya Tantrist is very close to my heart, so much so that I can have Twitter conversations with her. We both have different accounts and talk to each other. She’s a good friend and I think I’m personally close to her though she feels I’m a boring dud who does nothing but sit at a desk and write. 19. If you were to ask people to learn something from any of your character(s) what would that be? Oh, what an interesting question! I would want readers, especially women, to see Anantya on the streets of Delhi at night and reclaim public spaces. Become confident in themselves and say, ‘Hey! If she can do it, so can I!’ That’s my ultimate award back! Q. Does it get a little difficult to switch between fantasy for your books and reality for your blog posts? Not really. Sometimes writing different styles of writing helps in becoming more creative in your fiction. Till you’re writing something! Q. What’s your family’s response to and role in your writing? My husband is very supportive and patient. He’s always pushing me to write more and is there as a shoulder on my bad days. My parents are surprised and delighted. I’m the first one in my family to become a writer. They still don’t know how it happened. Frankly, neither do I.
Q. If someone wants to make blogging their career/ monetize their blog, what pointers would you give them? a) Keep at it. Never give up. b) Be patient. A blog is not a time-based project, it’s a systematic investment plan. Your audience will build over time as others start discovering your blogs and interacting with you. c) Spread the word about your blog on social media, on other blogs. Be responsive, be polite and add in humour. d) Write a lot of blogs, but schedule them out over a week. Be consistent and keep learning from the blogs that do well and those that don’t. e) Write from your heart. Blogs are like stories you tell a friend. Think of someone you’re telling it too and write it. Q. Similarly, any secrets to making it big as an author? Well, the first secret, something that a lot of writers who want to be an author miss is to write that first book. You have to write, constantly, everyday, regularly to become an author. You have to tell a story that readers love, that makes them delve into another world, that they would love to recommend to others and retell in different ways. Think about any successful book. The success happened because the characters became friends to people. So write with all your passion and complete that story. Don’t let the worry about publishing, marketing or even the success of the book get in the way of the story. Write the story the way it’s supposed to be written. Be honest to it. Like spouses, stories know when you’re lying to them and want to write them for other things and fail you. So love your story and write it with honesty and you’ll take the first step in becoming an author. Q. Which are the bloggers, artists and authors that you look up to? I have a lot of bloggers on my Feedly that I regularly read. Some of then write on travel, some tell personal tales, and some talk technology. Then again, there are lots of authors on my list and I keep discovering more all the time. Each author has such a different style of writing and can teach you so much. Q. How important is social media for you? How do you use it to promote your work? Quite important, though it remains a medium to spread my word and hasn’t replaced my blogs. Some writers have stopped blogging on WordPress or Tumblr and instead just write a long post on Facebook. 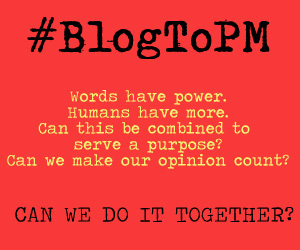 I still prefer to write in longform on a blog and talk about the issue on my social media. I also post different things on different social mediums. On Instagram, I post pictures, on Twitter I just write up vague things and links I’ve found, on Facebook I can be angry or emotional, on WordPress I write long form thought-through blogs. Q. In one of your articles you asked writers to do more than a blog online. Would you like to elaborate on this? The internet audience is fractured. Readers are loyal to a single social network. Some read blogs, some read posts on Facebook, some tweets and some head to Tumblr. As a writer, it makes sense if you’re cross posting the same blog or parts of it on different mediums since very few readers go to multiple mediums. Q. How do you connect with readers and your fans? Do you incorporate their feedback and respond to them? I am quite responsive most of the times. And open on all social mediums, be it social networks or email. When a reader asks me a long question, I suggest that they write me an email and try and help them. I do consider all feedback I get, but when it comes to my story, I rely on my instincts and my primary audience feedback. Also my editor’s suggestions. Q. What shape would you like your life to take over the next 5 years? What can readers expect from you? I would like to continue to write speculative fiction, which has science fiction and fantasy works. I aim with each of my books to push the boundaries of my own skills and try and make thrilling stories for my readers. I hope to keep doing this for the next five years! 1. If you could have 1 tantrik power or weapon, it would be….? Flying. I’ve always wanted to get that siddhi. Always! Wine and chocolate. Can never resist the combination, especially after a good day of writing. (oh wait, also after a bad day of writing). Take long walks, get into arguments with friends over coffee. An 11 year old who loved my first novel, The Ghost Hunters of Kurseong, gifted me a painting of an owl. A lovely painting that remains in my home and reminds me everyday how lucky I am to write stories and have readers who appreciate them. 5. Who is your biggest critic and the person who you go to for feedback? My husband. He’s an impatient reader. So if I can engage him in my book, I know my works done. But I take feedback from multiple trusted friends who I know will look at the book differently and give me feedback on different aspects of the book. 6. If you could meet one mythological character, it would be? Chanakya. Can I call him mythological? He’s such a fascinating character! The other character I’m quite fascinated by is Kali. I would love to meet her. Maggi. Yes. You read it right. Maggi. And rice with daal. 8. If you could make one thing disappear from the world, it would be? Were you transported into a world of fantasy on reading this interview? Tell us how you liked this interview in the comments section below, or get ready to bear the wrath of Anantya Tantrist! 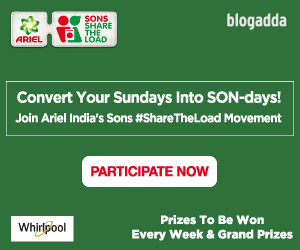 Previous PostPrevious Be a part of the #MakeIndiaDiabetesFree activity this World Health Day! Next PostNext Participate in the Shortcut Safaari weekend activity and win premiere passes!